Ryhope bowler David Craig delivers a ball to Boldon's Gray Frater at Ryhope Welfare Park. Picture by Kevin Brady. Whitburn, in third place, welcome the Durham Academy and skipper Paul Shields is hoping his side’s recent good form continues in the Dukes ECB NEPL Premier Division. Shields said: “The team are going well and I’m hope this continues on own patch against the Academy, who will be pulling out all the stops to reverse their poor form. Durham Academy director of cricket John Windows said: “The side to take the field against Whitburn is likely to be the same as last week. “Most of the team didn’t play too well, but we scraped a draw. South Shields are desperate for a win having lost five and drawn two of their first seven games, and currently find themselves bottom of Division One. They welcome Gateshead Fell, who are just two places and 23 points above them, so this really is a must-win game for Dean Road outfit. Elsewhere, Brandon in second place, welcome Boldon and the home skipper Chris Peareth said: “We had hoped to keep the same team after last week’s victory, but one change is unavoidable as Niall Solomon is not available (University commitments). “His place will be filled by Lewis Newby, who very conveniently bagged 80 runs for the seconds last week. The top of the table clash this weekend in the Readers Durham Cricket League Division One sees Marsden, in fourth, take on second placed Easington at Jack Clark Park. “As for team news, Paul Hobson definitely misses out with a broken finger and James Sneller is unavailable, with Owen Amess taking over behind the stumps. In Division Two, Littletown in third, travel to Boldon CA, with Kieran Hill and Chris Gowland returning to the side to help out. 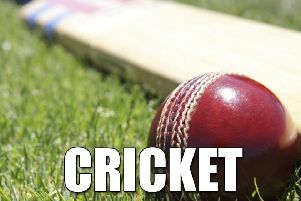 Head of cricket development Gregg Arundel said: “We had an indifferent weekend last week, having been beaten at Evenwood on Saturday was a bit of a blow, but we bounced back on Sunday, with 27 points against Murton.